U.S President Donald Trump criticized forest management in California and threatened to cut off federal emergency funding this week, eliciting confusion and condemnation, reported Ryan Bort in Rolling Stone. The International Association of Fire Fighters released a statement calling Trump's move "disgraceful." "While our president is tweeting on the sidelines in DC, our fellow Americans 3,000 miles to the west are mourning loved ones, entire communities have been wiped off the map and thousands of people are still trying to figure out where they are going to call home." The reporter wrote that the president is fixated on the state's role in causing forest fires, but the federal government owns the majority of forested land in California. 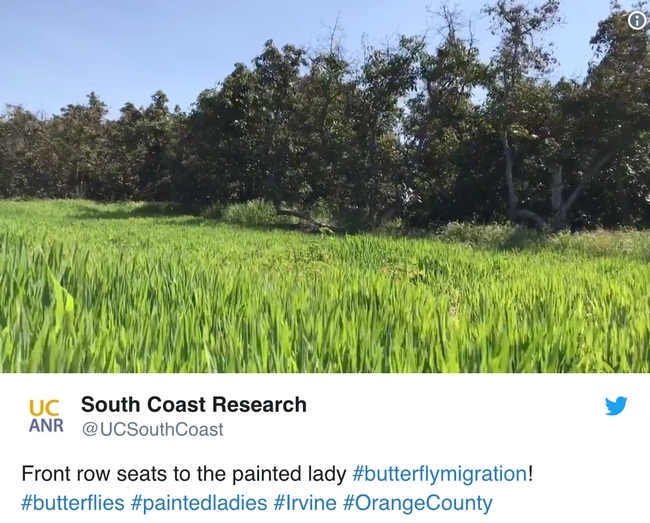 Moreover, the devastating Camp and Woolsey fires of 2018 were not forest fires; they were wildland-urban interface fires, according to UC Cooperative Extension wildfire specialist Max Moritz. "In these environments, as we've seen, it can be the homes themselves that are burning and spreading fire to other nearby homes. Managing vegetation can thus have relatively little effect on fire spread," Moritz said. The federal government shutdown itself is having a major impact on wildfire prevention, reported Ezra David Romero on Capital Public Radio. Typically, forest managers analyze their budgets and plan for the next fire season during the winter. But the government shutdown has suspended these efforts because the U.S. Forest Service - which has been furloughed since Dec. 22 - plays a big role. Crews in Redwood National Park are “just sitting on their hands,” according to UC Cooperative Extension fire advisor Lenya Quinn-Davidson in Humboldt County, because they can't work on federal land during the shutdown. She said that workers were “excited to do more” on the heels of the state's worst fire season in history. “This is just taking the wind out of their sails." The shutdown is also causing challenges for UCCE forestry specialist Bill Stewart. 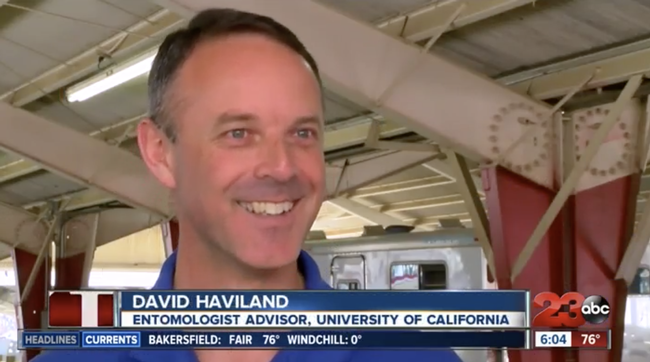 He's working on collaboration between the UC system and the Forest Service to streamline the cost of preventing wildfires. But the shutdown is making the five-year project, which has end-of-January deadlines, difficult to accomplish. The humble rake has been in the spotlight in recent weeks, and its role as a forest management tool ridiculed and scorned. 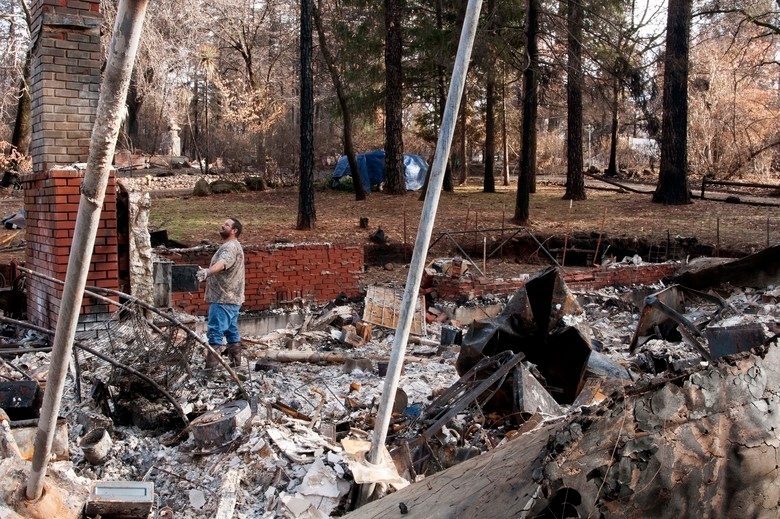 However, most fire professionals believe rakes are a necessary part of saving California's forests. Those who are familiar with fire are undoubtedly familiar with the McLeod, which is a standard firefighting tool and … it is essentially a rake (one side is a rake with coarse tines and the other side has a flat sharpened hoe). The McLeod was created in 1905 by a U.S. Forest Service ranger who wanted a single tool that could rake fire lines (with the teeth) and cut branches and roots (with the sharpened hoe edge). The McCleod is used to scrape fuels off of a fire line, preventing fire spread. The use of hand tools like the McLeod continues to be one of the standard ways that wildfires are stopped (although often aided by the rake's bigger and more powerful cousin: the bulldozer). While the McLeod is a fire-fighting tool, it is also an essential fire-managing tool. 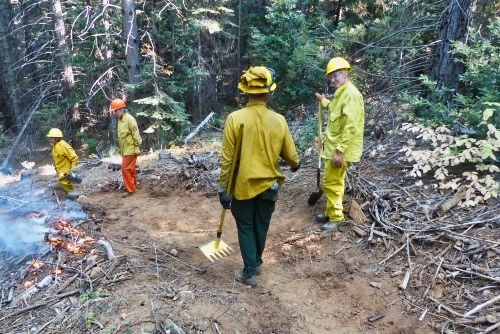 When conducting controlled burns (i.e., purposeful fire), the fire is contained within desired areas by diligent raking with McLeods and other hand tools. These tools are necessary for conducting controlled burns. 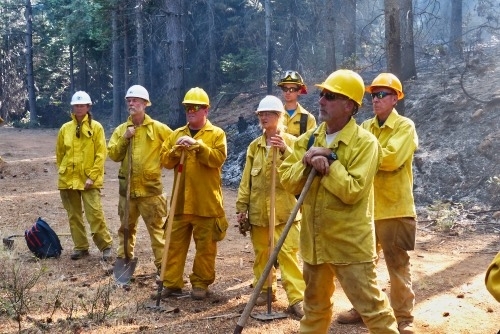 While it isn't feasible to reduce fire risk by raking the forest with hand tools, if you hold a drip torch in the other hand, you could get the work done. 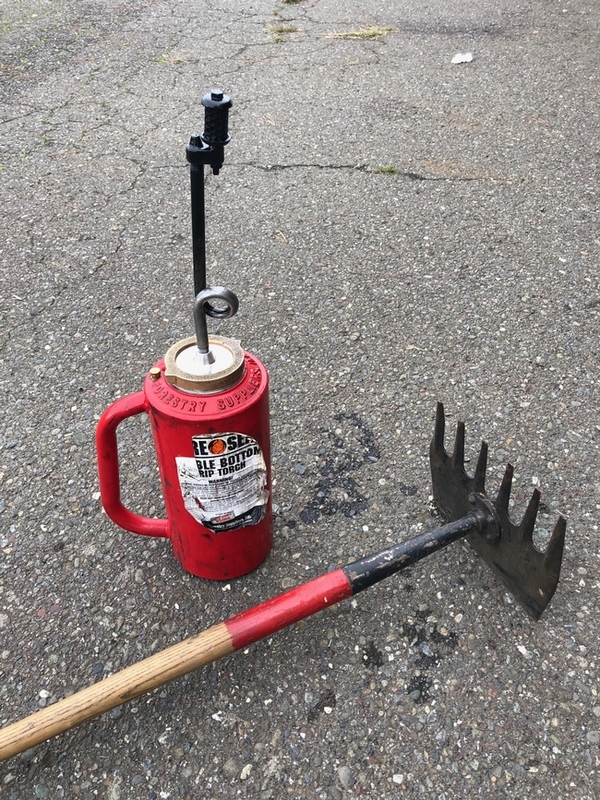 A drip torch consists of a canister for holding fuel that comes out of a spout (with a loop to prevent fire from entering the fuel canister) and a wick from which flaming fuel is dropped to the ground when the wick is ignited. The drip torch is the most common tool for lighting prescribed burns, which can be used to remove excess fuel buildup in the forest. In a forest setting, these two tools — the rake and the torch — must be used together. Without a rake, the fire is not easily contained. And without a drip torch, the fuel that was raked cannot burn. Of course, prescribed burns rely on a number of other pre-specified factors (the prescription), including wind, temperature and humidity. Using fire in a controlled manner drastically reduces the impacts of wildfire in a forest. Typically flames are kept low and most or all of the trees survive the fire, while much of the dead material on the forest floor (the “fuel”) is consumed. This reduces the risk of the forest burning at high severity in the future, thereby protecting nearby homes and towns. It also reintroduces fire as an important ecosystem process, which improves the health and biodiversity of forests and maintains the ecosystem services they provide, including wildlife habitat, water filtration and carbon sequestration. Use of a rake and a drip torch together could make a great difference for reducing the impacts of wildfire in California and the West. 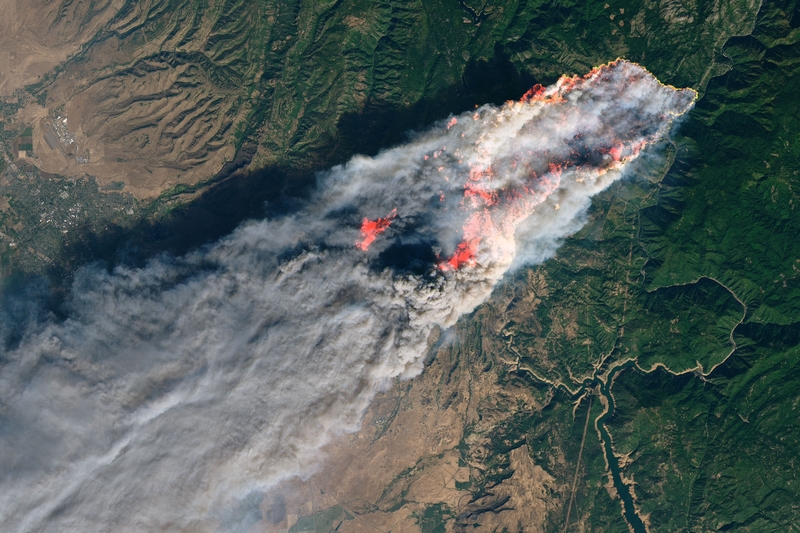 The National Interagency Fire Center reported that during 2017, only half a million acres were treated with prescribed fire in the West, while 7.4 million acres (almost 15 times more) burned in wildfires. In the Southeastern U.S., where there is a long-standing tradition of prescribed burning, only 2 million acres burned in wildfires while over 5.5 million were burned using prescribed fire. This was not always the case. Use of prescribed fire, or ‘light burning,' was once common in California until it was outlawed by federal and state policy in 1924. Although the merits of expanding its use are widely known and appreciated, it has been very difficult to do because of concerns about air quality, liability and lack of skilled burners. One of the biggest constraints is that we have very few people who have experience with ‘good fire' and very few qualified people who know how to safely burn. As foresters and educators for the University of California Cooperative Extension, we are working to expand the use of prescribed fire on private forest and grasslands in California. Central to our efforts are educational events that give people an opportunity to experience prescribed fire first-hand. In the last two years, we have hosted workshops throughout northern California, and many of our workshops have included a live-fire component where landowners and other community members can try their hand at prescribed burning, under the direction and guidance of more experienced burners. 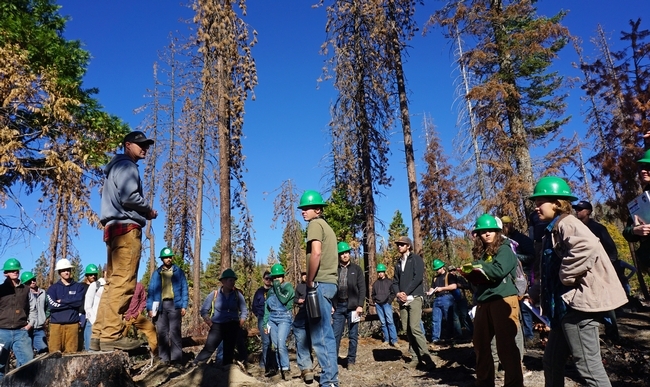 Our efforts in California are inspired by approaches in other parts of the country, including “Learn and Burn” events in the Southeast, prescribed burn associations in the Great Plains, and prescribed fire training exchanges (TREXs), an innovative training model developed by The Nature Conservancy's Fire Learning Network. 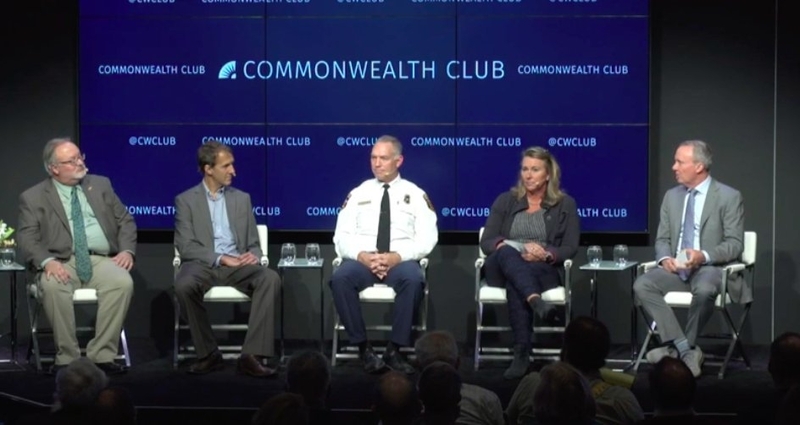 All of these efforts have a focus on reconnecting people with fire, and they give participants the skills and experience needed to put fire back in the management toolbox. We hope that by empowering people to pick up the drip torch (and the rake) on their own properties, we can help them reduce the risk of wildfire and improve the health of their forest and range lands. There is no time to waste. For millennia, fires periodically burned through California forests, thinning trees, reducing shrubbery and clearing out downed branches and debris. Without periodic fire, the forests became more dense, with spaces between large trees filling in with a thick carpet of duff, seedlings and shrubs. As a result, today's forests are prone to more intense and damaging fires, like the Rim Fire, King Fire, and — most recently — the Camp Fire in Butte County. These fires are burning with unprecedented severity and speed, threatening large swaths of forest, towns, and even urban areas. Competing forces, however, pushed foresters and fire officials toward fire prevention and suppression, particularly the cataclysmic fires of the early 20th century that leveled entire towns and left dozens of residents and firefighters dead. The fear of out-of-control blazes and the perceived damage to timber resources launched a war on fire that has lasted a hundred years. Some forest managers are urgently trying to negotiate a truce. Making peace with fire and turning it into a useful tool, rather than a raging threat, was the objective of an October meeting in Shaver Lake of UC Cooperative Extension forestry and natural resources scientists, Southern California Edison forest managers, CALFIRE officials and U.S. Forest Service representatives. Participants in the pyrosilviculture training gather at a recent prescribed burn site near Shaver Lake. The event also raised awareness of “pyrosilviculture,” a new forest management term coined by UC fire scientist Rob York to emphasize the importance of fire in silviculture, the management of forests for wood. Forests have myriad benefits – recreational, environmental and economic. Nature lovers value the whisper of pine trees in the wind and green shade over hiking trails and ski slopes. Owls, bears, deer and other wildlife make their homes among firs, pines, oaks and cedars. Forests stabilize mountain slopes, which store water as snow for agriculture and drinking. People build their homes, businesses and schools out of the planks and boards cut from the straight, soft wood of conifer trees. The value of California forest products was about $429 million in 2017, according to the USDA. Because fires can damage and destroy trees, the timber industry has historically been reluctant to use fire as a tool. That's changing. “Fire is such an important ecological process, you can't manage for timber without fire,” York said. York is the manager of the Blodgett Forest Research Station, UC Berkeley's 4,000-acre mixed conifer and oak forest near Georgetown where researchers study forest management practices for increasing timber yield while taking advantage of fire to enhance forest health and make forest stands more resilient to wildfire. Controlled burning can be used to treat fuels and reverse these trends, but it has been inhibited by a number of barriers, including landowners' concerns about liability, risk aversion among fire management agencies, narrow burn windows, air quality limitations and other regulatory challenges. Now, public demand for prescribed fires is growing. Climate change is also intensifying the interest among the public and silviculture professionals. Because California is getting warmer and fire seasons are growing longer, high-severity fires are expected to increase. “There would logically be a tipping point. Even though we reduce the growth of trees when we use fire, if it can prevent the loss of the forest entirely, it would be meeting the timber objective,” York said. The vast tree die-off during the 2011-2016 drought was another jarring sign that the Sierra Nevada ecosystem is out of balance. 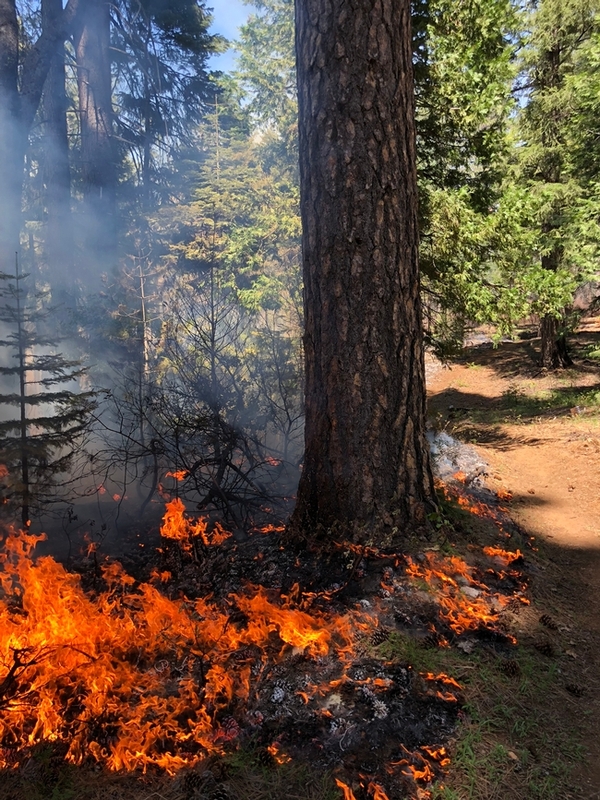 The U.S. Forest Service, which manages 20 million acres of forest in California, is using prescribed fire to reduce fire risk on federal forestlands, but scientists say it's not nearly enough to reduce the threat of catastrophic wildfire. CAL FIRE is ramping up its controlled burn efforts, but it will take time to address far-reaching areas of overgrown forestlands. The agency sometimes uses mechanical measures such as mastication and chaining before burning to pre-treat fuels and prepare units for burning. UC Cooperative Extension is working with private landowners to encourage more prescribed burning to reduce fire risk, protect communities and timber. 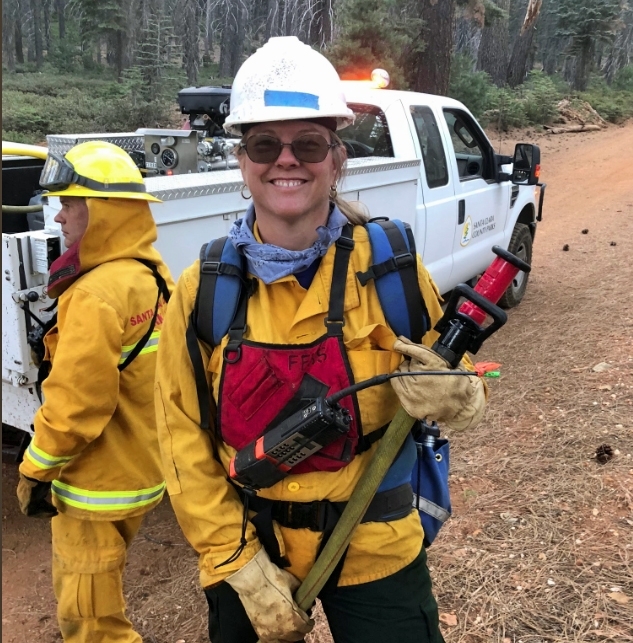 UCCE forestry and natural resources advisor Susie Kocher coordinated training sessions this year in four mountain communities. The sessions included local fire history and current fire research, prescribed fire permitting and legal considerations, fire weather forecasting and online tools, air quality and smoke management, fire terms and fire behavior, burn plan development, burn unit preparation and fire tools and equipment. At the training sessions, UC Cooperative Extension advisor Lenya Quinn-Davidson said that in some cases, private landowners can conduct burns themselves. In her hometown in Trinity County, many ranchers and landowners conduct small broadcast burns to reduce fuels and improve forage. These burns are typically quite small and usually conducted in the winter. “This can be a good option for landowners who wish to burn small areas, but we need other options for bigger, more complex burns” Quinn-Davidson said. In other parts of the country, landowners have formed Prescribed Burn Associations (PBAs) that allow landowners to work with neighbors and other community members on controlled burns, sharing equipment and labor while developing skills. The PBA model provides a low-cost, grassroots option for prescribed burning, and empowers landowners to work together, and with other key experts and partners, to bring fire back to the landscape, says Quinn-Davidson. “People are desperate to do something about fire, and the PBA model gives them an option to actively engage with each other and with fire as a tool—it's very empowering,” said Quinn-Davidson. 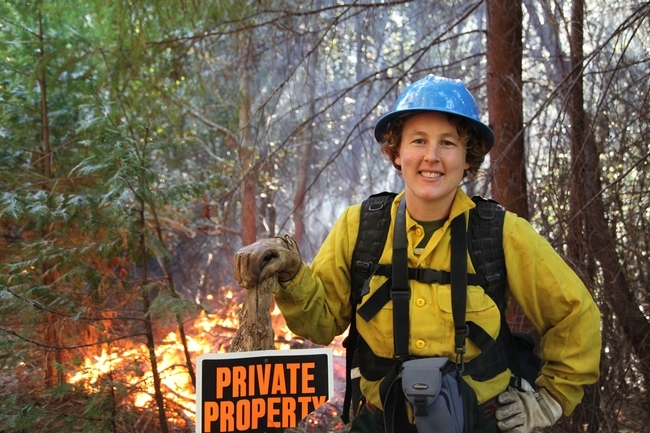 UC Cooperative Extension area fire advisor Lenya Quinn-Davidson.